Contact with us and we'll try to get your biller onboard. Enter name of the Institution you wish to pay. e.g. School, College, Housing Society etc. Email Us and we'll let your biller know it's time they signed up for iCollect. Select the category of Institution (say Education, Corporations, Clubs etc. ), subcategory and its location. Generate Challan and submit it at the nearest ICICI Bank branch along with Cash/Cheque. Cash Payment: Only if amount less than Rs 3,00,000. Cheque Payment: Submit at any ICICI Bank branch up to two working days prior to the last date of payment. 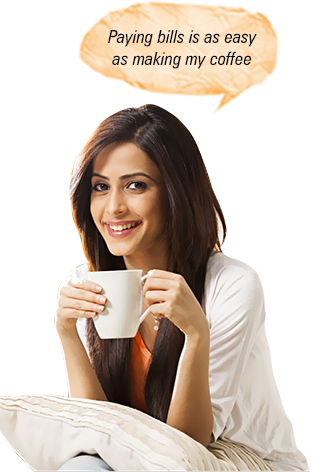 Register with ICICI Bank to collect payments from your customers. We have sent a One Time Password (OTP) to your registered Mobile Number. Enter this 6-digit OTP to view the bill. Note: If your Mobile Number is not registered with the biller, please try again after registering. We have sent a One Time Password (OTP) to your registered Email ID. Note: If your E mail ID is not registered with the biller, please try again after registering.